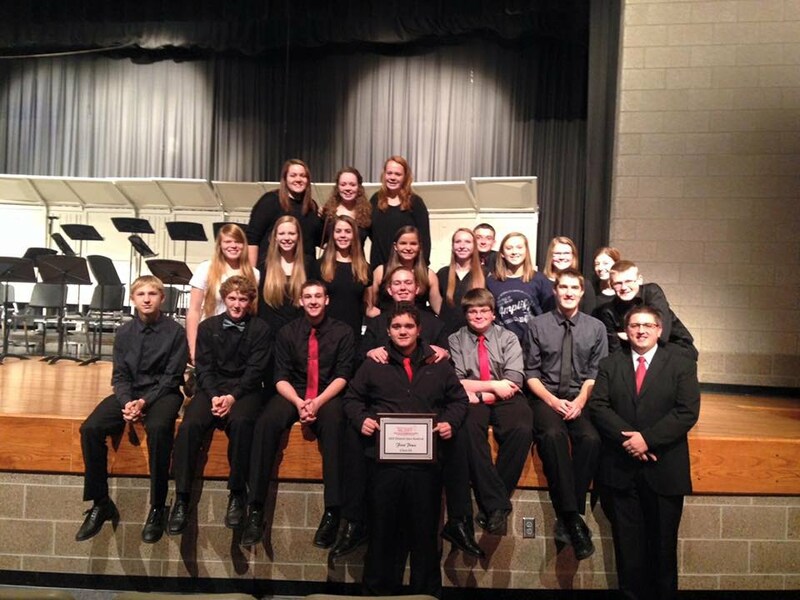 The Earlham High School Jazz Band earned 1st Place in Class 2A at the South Central Iowa Bandmasters Association High School Jazz Festival on Saturday, December 12th. The band performed in the Winterset High School auditorium. The other schools competing in Class 2A included Ogden, Woodward-Granger, Des Moines Christian, West Marshall, Central Decatur, and Roland Story. The band's two outstanding soloists were Grant Becker (guitar) and Austin Griswold (alto sax). The 1st Place finish automatically qualifies the band for the Iowa Jazz Championships on April 5, 2016.